"I have played many Yamaha instruments over the last 15 years including the 6335HS and the Bobby Shew Z model trumpets and found them to be crafted with precision. These quality instruments are ideal for the versatility required when performing in the commercial scene." Yamaha Music Australia is proud to endorse Dancing with the Stars trumpeter Greg Spence’s trumpet method book “The Only No Mystery Guide To Trumpet Mastery” as its No.1 trumpet method book of choice. Go to www.mysterytomastery.com to see reviews, endorsements and information about this exciting approach to trumpet education. Greg is well known in the Australian commercial music scene and is currently the trumpet player on Australia's No.1 rating show, the international smash hit, Dancing With The Stars, and John Foreman’s new music show, The Big Night In. Greg has professional theatre experience including shows like Chicago, Mame, Funny Girl, Fame, Annie and many more. His versatility in commercial, jazz, Latin American, funk and classical playing has made him an in demand session trumpeter with a long list of credits including national advertising campaigns for the Boag’s Beer Company, the Ford Car Company, Panasonic and so on. Greg is a Melbourne based trumpet player/teacher who graduated with a degree is performance from the Victorian College of the Arts in 1996. Since then he has appeared on many of Australia's top rating television shows including In Melbourne Tonight, Hey Hey it's Saturday, the TV Week Logie Awards, The Mick Molloy Show and Carols by Candlelight. 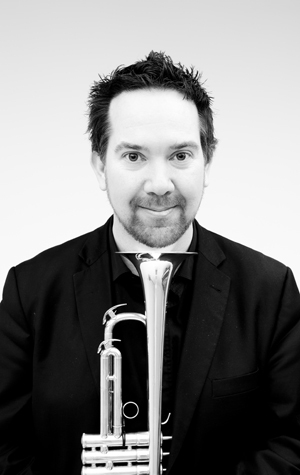 Greg is a member of Shrewd Brass, a popular brass quintet with the educational Musica Viva In Schools Program. He is lead trumpeter for the B# Big Band, James Morrison’s favourite Melbourne big band and Los Cabrones and Romberos, two of Australia's premier Latin American ensembles. He has also toured with and performed alongside international stars such as Shirley Bassey, Michael Buble, James Morrison, Hugh Jackman, Jerry Lewis and Wayne Newton. Greg is a teacher and examiner for schools and universities in Melbourne and is often called upon by retailers and instrument makers to conduct workshops.